Includes pool, spa, hardscape, and entertainment areas. 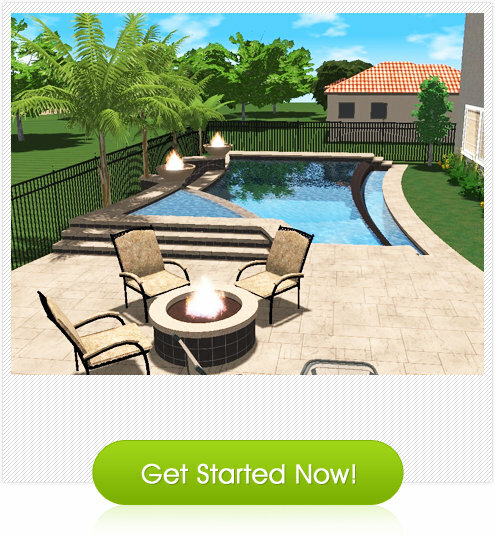 3-D Design Pool Plan Pricing………………………………………………….$300.00 Complete 3-D rendering of proposed pool and yard areas. Includes up to three revisions. Incorporating 3-dimensional pictures and videos with your drawings can aid you and your builders in ensuring your design concept is accurate, as well aesthetically pleasing.